One of Western North Carolina’s Finest Log Home Communities. This 1000 acre community is ideally located between Maggie Valley and Waynesville, NC. Tight deed restrictions have protected the natural beauty of the mountain, creating the feeling you are in a national park. Wildlife is abundant, views are spectacular, yet you are a short 10 minute ride to the shopping, restaurants, and amenities of Waynesville and Maggie Valley. 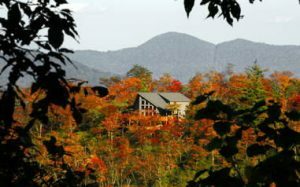 With 22 miles of paved roads, buried utilities including city water, a well funded HOA, the Smoky Mountain Retreat is the perfect place to invest in your new home.